As time goes on, the password has proven time and again that it’s not going to be enough to keep hackers out of online accounts and other sensitive parts of your IT infrastructure. 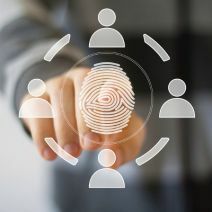 One of the most valuable responses to this development was two-factor authentication, which is part of a more complex overarching trend that involves much more than simple two-factor authentication. That’s not to say that two-factor authentication doesn’t play an important role in data security. In fact, it’s one of the most important parts of doing so. By providing a secondary layer of credentials that are required to access important data, you’re effectively making it much more difficult to access critical information. This means that hackers will be less likely to attempt to get in. Taking simple steps like two-factor authentication to keep them at bay can have incredible results. There are several different types of technology that utilize multi-factor authentication, many of which require either a hardware-based or software-based security token. This can come in the form of a small piece of hardware, like a USB dongle, while others can automatically generate a single-use login credential that’s sent to a smartphone. These are by far the most popular versions of multi-factor authentication, primarily due to the fact that so many business professionals own a smartphone. Other security practices that can be considered include employee ID cards or GPS technology from smartphones to verify physical location. There are also embeddable smart chips that some of the more dedicated people in the world plant in their hands, but that’s a story for another day. The main idea here is that you want to take advantage of technologies that can keep hackers and trespassers out of your office, and its infrastructure, whenever possible. Tektonic can equip your business with the technology to make this dream a reality. To learn more about multi-factor authentication, call us today at (416) 256-9928.